Joe Skipper In Superb Performance In His First Ironman Distance Triathlon. Posted October 3rd, 2012 by Lee & filed under MailBigFile, Sponsorship. Joe Skipper, who is sponsored by MailBigFile, produced a stunning time of 8 hours 23 minutes to finish 5th on his Ironman triathlon debut in Barcelona. This was good enough to make him the 11th fastest British athlete of all time at the Ironman distance. Joe, who normally specialises in the shorter Half Ironman races, was competing in the professional classification. The Ironman triathlon is a race of 140.6 miles featuring a swim, bike and run. 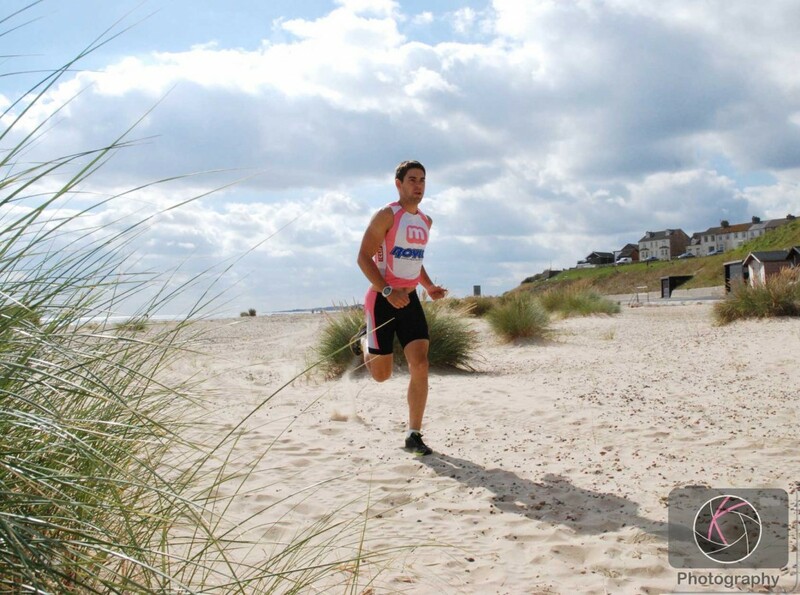 Joe (pictured below training in Lowestoft) completed the 2.4 mile (3.8 km) swim in 54 minutes, the 112 mile (180 km) bike ride in 4 hours 28 minutes, and the 26.2 mile (42 km) run in 2 hours 58 minutes. This was Joe’s last race of the year in what has been a very good first season on the professional triathlon circuit. Other than his last race in Barcelona, Joe has performed consistently well in races in the UK and Europe. This has included a 5th place at Half Ironman UK. He has also raced in Antwerp in Belgium, Wiesbaden in Germany, Galway in Ireland and Cannes in France. He is now having a few weeks break before spending the Winter training in Southern Spain. He hopes that the ideal weather and terrain in Spain will allow him to progress even further in the professional ranks in 2013.